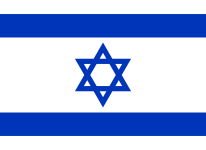 Israel became the first non-European nation to participate in the Eurovision Song Contest in 1973, and have won it three times. They are allowed to participate due to their broadcaster IBA being an EBU member via the country being within the European Broadcasting Area, despite them not being a geographically European nation. They have also participated almost every year since their debut with the exceptions of 1980 (due to a combination of lack of funds and the Contest taking place on the Day of Remembrance), 1984 (again due to the Contest taking place on a memorial day), 1994 (due to relegation), 1996 (failed to qualify from the pre-selection round) and 1997 (due to the Contest being held on Holocaust Remembrance Day). Israel usually switch evenly between sending entries in either Hebrew or bilingual with English. Israel made their Eurovision debut in 1973 . As a result of their participation, security for the venue was very tight to avoid possible terrorist threats after the 1972 Munich Olympics Massacre. Their debut entry “Ey Sham” (performed by Ilanit) gave a good showing by finishing 4th, and as well as Sweden that year was the first Eurovision entry to have a woman conduct the orchestra. They continued a decent run of results up to 1978, where Israel became the first non-European nation to win the Eurovision Song Contest, with Izhar Cohen & the Alphabeta performing the song “A-Ba-Ni-Bi”, a song made up in kids’ language. The result was also notable for the state broadcaster in neighbouring Jordan to cut off the transmission during voting when it became apparent that Israel were about to win, showing pictures of flowers instead and telling viewers that Belgium (who actually came 2nd) had won. The following year in 1979, Israel became only the second country to win on home ground on their own accord, this time with the anthemic song “Hallelujah” (performed by Gali Atari & Milk and Honey), a song now widely considered to be a classic by Eurovision fans. A rendition of the song was also performed as an encore by the performers of the 1999 Contest in tribute to victims of the ongoing Kosovo War. The early 80’s saw Israel get two consecutive 2nd place results: first in 1982 with “Hora” (performed by Avi Toledano), then again in 1983 with “Hi” (performed by Ofra Haza). The rest of the decade saw a mostly decent set of results. The 90’s saw Israel’s most frequent spells of absence from the Contest for various reasons, and also saw them at various extremes within the scoreboard. After some very erratic voting in the 1991 Contest, Israel had the distinction of finishing 3rd behind Sweden and France with Duo Datz performing “Kan”. After a short spell of not participating in the middle of the decade, they returned to the Eurovision stage in 1998 with the uptempo song “Diva”, where they found themselves attracting pre-contest controversy due to the entry’s singer Dana International being a male-to-female transgendered person. However, it seemed to them that no publicity was bad publicity, as in the end they snatched their third victory with the very last vote. Their hosting of the 1999 Contest in Jerusalem was notable for being the first Contest without an orchestra in order to save money for the show, a move which upset traditionalists. Despite the complaints, the orchestra have never returned since. It was also the year that the national language rule was abolished for good, enabling many countries to enter their songs in English. The early 2000’s saw Israel lingering in the bottom half of the scoreboard, capped off in 2004 when they narrowly missed out on qualification from the Semi-final. Their bad run ended in 2005 when they qualified and finished 5th in the Final, with Shiri Maimon performing the ballad “Hasheket Shenish’ar”, which to date is their last top 5 result. Their next top 10 result came in 2008 with “The Fire In Your Eyes” (performed by Bo’az Ma’uda), and they wouldn’t see the left-hand side of the scoreboard until 2015 with Nadav Guedj performing “Golden Boy”. Including 2004, Israel have failed to qualify from the Semi-finals six times since they were introduced, the other occasions occurring in 2007, 2011 (notable for being former winner Dana International’s second Eurovision outing), 2012, 2013 and 2014. Well there’s this rule for the IBA that Hebrew has to be the dominant (or equally dominant) language in the song selected for ESC.